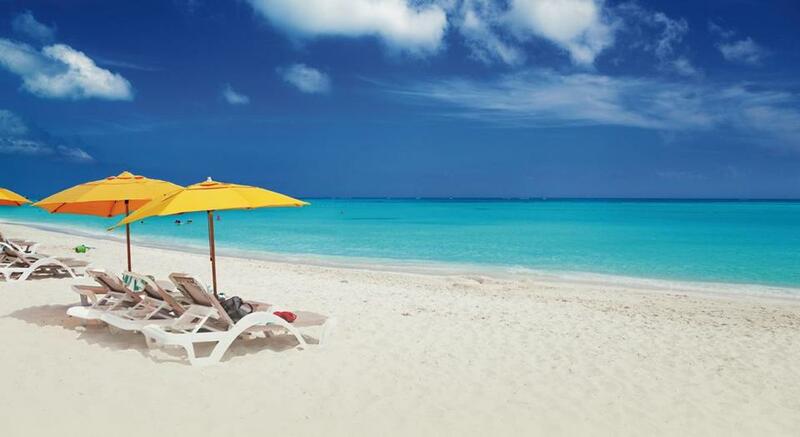 You could be sitting pretty on the beach at Turks and Caicos if you book a deal during Black Friday/Cyber Monday. Time to gobble up some travel bookings for far-flung getaways and New England vacations, too. Many travel deals are significant, including 50 percent off room rates, free nights — and free beer. The beauty of shopping for travel bargains on Black Friday (Nov. 25) is that you don’t have to hit the mall — you can shop online. And, while there are Black Friday-only offers to be snagged, Cyber Monday (Nov. 28) is actually the new Black Friday, with even more travel bargains offered then. Also trending this year? Four-day sales that begin on Black Friday and run through Cyber Monday. (Note: For some of these steals and deals, blackout dates apply, as well as other restrictions, such as paid-in-full bookings and minimum stays, so be very sure to read the fine print when reserving.) Below are some of the deals you’ll find. British Air is giving away 1,500 hotel room nights to 1,000 passengers booking overnight flights from the United States (Boston included) to London for travel during the month of January; the flights must depart the United States on Jan. 10 or Jan. 14, 2017. The offer goes live on Black Friday at 10 a.m. at www.ba.com and will end when the promo has been booked. You can select the offer as a vacation package or choose one of the airline’s regularly scheduled flights — once your selection is in the online shopping basket, you can choose from available free hotels including The Rembrandt and Doubletree by Hilton London Westminster. The deal is for three free nights based on two people traveling together and sharing the room. Bonus: You’ll also receive Visitor Oyster Cards for travel around London on the Tube and discounts to shops and restaurants. For the bride! Book the “Black Friday, White Wedding” package at this Mexican resort beginning Black Friday through Cyber Monday and you’ll get 30 percent off standard room rates, 20 percent off a four-course wedding menu, and a complimentary one-hour cocktail reception, as well as other upgrades and perks. To book, e-mail rocio.cervantes@hyatt.com. For bookings made on Black Friday through Cyber Monday, you’ll get 50 percent off room rates in all room categories. (Regular rates start at $160 a night for standard guestrooms rooms and $525 for suites.) The offer is valid for travel through April 30, 2017. Book at www.elconvento.com. Save more than $900 when booking an oceanfront room here as part of a buy one, get one deal that kicks off Black Friday and runs through Cyber Monday for travel between April 17 and Oct. 31, 2017. You can also get 35 percent off oceanfront guest rooms for stays between Jan. 3 and April 16. Book at www.sevenstarsgracebay.com or call 866-570-7777. Book any one of these boutique hotels in NYC (including The Hotel Belleclaire where Babe Ruth once stayed and where there is a Babe Ruth Suite) on Black Friday through Cyber Monday, and you’ll get 40 percent off the rates. Power Hour bonus: Book between 4 p.m. and 5 p.m. and get 50 percent off premium rooms and suites. Book at www.triumphhotels.com. Reserve a staycation at this four-star boutique hotel on Black Friday through Cyber Monday and you’ll get a $119 per night rate; regular rates begin at about $230 per night, a 50 percent savings. Available for travel through Feb. 23, 2107. Book at www.godfreyhotelboston.com. A Black Friday, Cyber Monday Flash Sale will nab you a $99 rate per night at this AAA Four Diamond resort on the St. Lawrence River (rates typically are $159 per night, a 38 percent savings). The offer is valid on stays booked through April 30, 2017. The sale kicks in at midnight on Black Friday and runs until midnight on Cyber Monday. To reserve, visit www.1000islandsharborhotel.com and use the code CYBER. Save 10 percent when you book one of Hurtigruten’s Classic Coastal Voyage or Explorer Voyage cruises on Black Friday through Dec. 4. The deal applies to travel between Dec. 1, 2016, and March 31, 2018, on a Classic Coastal Voyage cruise along the Norwegian coastline, and travel between March 14, 2017, and March 25, 2018, on select Explorer Voyages during the 2017-2018 sailing season. To book, visit www.hurtigruten.us/explorer-offers/black-friday-sale-2016 or call 888-478-4893. This hotel chain with 14 hotels in 12 cities, including Boston, is offering 25-percent discounted rates at each of its U.S. hotels for travel stays through March 31, 2017. You can reserve your stay on Black Friday through Cyber Monday; visit www.millenniumhotels.com. Book this private-island resort in the BVI and you’ll get a “buy five nights, get two free” deal for a luxurious hillside villa — as well as a $500 resort credit. The offer is available only on Cyber Monday. To book, visit www.scrubisland.com and use promo code BOG or call 800-228-9290. Red Sox fans rejoice! MLB’s 2017 opening day is 127 days from Cyber Monday. And so, beginning at 1:27 p.m. on Cyber Monday and valid for 127 minutes, you can reserve a room for $127 a night for stays between Nov. 28, 2016, and April 3, 2017 — which is Opening Day. Call 617-933-5000. Act quick: This Cyber Monday special will last for just 112 minutes and eight seconds — from 11:28 a.m. until 1:20 p.m.. Book a deluxe room for $201.50 (a nod to the hotel’s 2015 opening) as part of the “Buy One, Get One Free” deal at this boutique hotel and you’ll get a second night free for stays between Nov. 29, 2016, through April 30, 2017. Call 866-518-8465 or book at www.taconichotel.com. Naples Grande Beach Resort, Naples, Fla. Surprise! Twelve hours of surprise savings of up to 75 percent at Travelocity will begin at 8 a.m. on Cyber Monday — a coupon will be released for hotel discounts every hour on the hour until 7 p.m.. The deals will vary hour to hour, and quantities will be limited. Travelocity will also offer an all-day $125-off-deal on flight-and-hotel vacation packages, as well as $25 off hotels booked on the Travelocity mobile app. Book at www.travelocity.com. Book on Cyber Monday and you’ll snag a $129 per night rate at this hotel that offers complimentary snowshoe rentals and ice fishing in an on-ice shanty on Lake Champlain. The rate applies for stays January through March 2017. Book at reservations.hotelvt.com and use the code CYBER. Global tour operator Friendly Planet Travel will offer a savings of up to $1,100 on air-inclusive packaged tours (airfare, first-class and deluxe accommodations, guided tours, most meals and more) to 50-plus countries, including Cuba, South Africa, and Greece. The sale begins on Cyber Monday and lasts for 48 hours. To book, visit www.friendlyplanet.com/cybermonday. This style property is offering 25 percent off all stays, plus one beer per guest and a shareable appetizer at onsite restaurant Picnic Social, when booked on Cyber Monday for travel beginning March 1 through July 31, 2017. Regular rates begin at $139 per night. To book, visit www.fieldguidestowe.com and use the code CYBER. Book two or more nights in the Mansion Hotel or Villages One Bedroom Villas here on Cyber Monday for travel valid through Dec. 31, 2017, and you’ll get 28 percent off rates. Regular rates in the off-season typically begin at $135 per night and $295 in-season. Book at www.oceanedge.com. On Cyber Monday, travelers get up to 50 percent discounted rates when booking three or more nights at AAA Four Diamond-rated Moon Palace Cancun in Mexico or Moon Palace Jamaica Grande in Ocho Rios, Jamaica. The discounted rates apply for travel through Dec. 23, 2017 — and you get two extra days to take advantage of the deal by reserving online on beginning Cyber Monday through Nov. 30, 2016. To book, visit www.palaceresorts.com.